What a year – Au revoir à Paris et bonjour à Oxford! What a brilliant article. Im sure many will find it useful. Thanks so much, I hope people do find it useful! Absolutely Abby – definitely try and meet native speakers, they’ll be just as happy to speak to english speakers! I really liked this post 🙂 I’m going to England tomorrow to work as an au pair there! I think these tips were really helpful !! 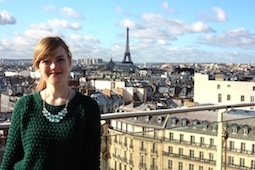 I just moved to Paris to work as an Au Pair. I signed up for a french classes, but it’s evening school so I mostly share the class with working people, who are not my age (I’m 18). Hey Rhea, thanks for commenting and welcome to Paris! I went to France Langue school (http://www.france-langue.com), they were really good and had great social life. If you fancy something online, check out Frantastique (http://www.frantastique.com), a great website which helps improve your french, all tailored around your ability and how you want to progress. Might be a good addition to the French Classes. Reblogged this on Au Pair Life. Thanks for this! I am about to start my au pair journey at the end of May in England. I’ve been before but couldn’t wait any longer to go back!